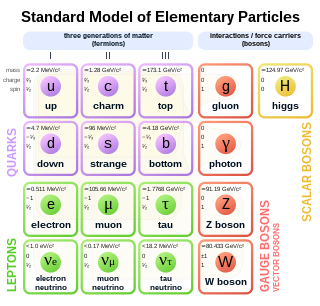 The interacting boson model (IBM) is a model in nuclear physics in which nucleons (protons or neutrons) pair up, essentially acting as a single particle with boson properties, with integral spin of 0, 2 or 4. The IBM1/IBM-I model treats both types of nucleons the same and considers only pairs of nucleons coupled to total angular momentum 0 and 2, called respectively, s and d bosons. The IBM2/IBM-II model treats protons and neutrons separately. In nuclear physics and nuclear chemistry, the nuclear shell model is a model of the atomic nucleus which uses the Pauli exclusion principle to describe the structure of the nucleus in terms of energy levels. The first shell model was proposed by Dmitry Ivanenko in 1932. The model was developed in 1949 following independent work by several physicists, most notably Eugene Paul Wigner, Maria Goeppert Mayer and J. Hans D. Jensen, who shared the 1963 Nobel Prize in Physics for their contributions. In nuclear physics, a magic number is a number of nucleons such that they are arranged into complete shells within the atomic nucleus. The seven most widely recognized magic numbers as of 2007 are 2, 8, 20, 28, 50, 82, and 126. For protons, this corresponds to the elements helium, oxygen, calcium, nickel, tin, lead and the hypothetical unbihexium, although 126 is so far only known to be a magic number for neutrons. 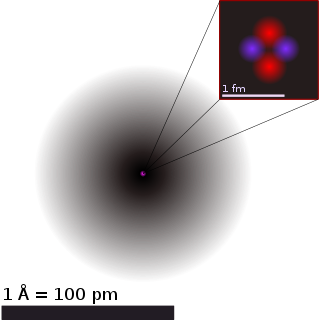 Atomic nuclei consisting of such a magic number of nucleons have a higher average binding energy per nucleon than one would expect based upon predictions such as the semi-empirical mass formula and are hence more stable against nuclear decay. 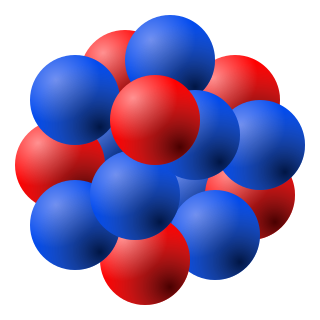 Helium-4 is a non-radioactive isotope of the element helium. It is by far the most abundant of the two naturally occurring isotopes of helium, making up about 99.99986% of the helium on Earth. 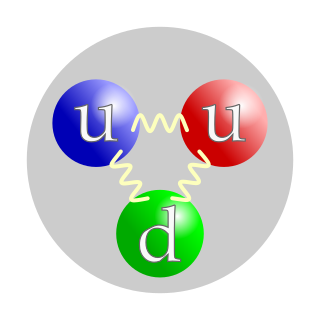 Its nucleus is identical to an alpha particle, and consists of two protons and two neutrons. In nuclear physics, the semi-empirical mass formula (SEMF) is used to approximate the mass and various other properties of an atomic nucleus from its number of protons and neutrons. As the name suggests, it is based partly on theory and partly on empirical measurements. The theory is based on the liquid drop model proposed by George Gamow, which can account for most of the terms in the formula and gives rough estimates for the values of the coefficients. It was first formulated in 1935 by German physicist Carl Friedrich von Weizsäcker, and although refinements have been made to the coefficients over the years, the structure of the formula remains the same today. 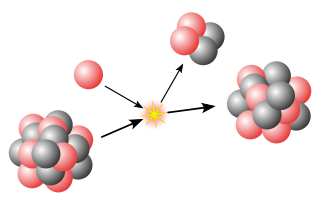 Nuclear matter is an idealized system of interacting nucleons that exists in several phases that as yet are not fully established. It is not matter in a nucleus, but a hypothetical substance consisting of a huge number of protons and neutrons interacting by only nuclear forces and no Coulomb forces. Volume and the number of particles are infinite, but the ratio is finite. Infinite volume implies no surface effects and translational invariance. Igal Talmi is an Israeli nuclear physicist. Akito Arima is a Japanese nuclear physicist, known for the interacting boson model. Francesco Iachello is an Italian theoretical physicist and engineer, who works mainly on nuclear and molecular physics. He and his collaborator Akito Arima are the creators of the "interacting boson model". Arima, Iachello Collective nuclear states as representations of a SU(6) Group, Physical Review Letters 35, 1069–1072 (1975). Arima, Iachello The interacting boson model, Cambridge University Press, 1987. Arima, Iachello Interacting boson model of collective states, Part 1 (the vibrational limit) Annals of Physics 99, 253-317 (1976), Part 2 (the rotational limit) ibid. 111, 201-238 (1978), Part 3 (the transition from SU (5) to SU (3)), ibid. 115, 325-366 (1978), Part 4 (the O(6) limit) ibid. 123, 468-492 (1979). Arima, Iachello The Interacting Boson Model, Annual Review of Nuclear and Particle Science 31, 75 (1981). 1 2 3 Walter Pfeifer (1998). An Introduction to the Interacting Boson Model of the Atomic Nucleus (PDF). ISBN 978-3-7281-2520-0. 1 2 Kratz, J. V. (5 September 2011). The Impact of Superheavy Elements on the Chemical and Physical Sciences (PDF). 4th International Conference on the Chemistry and Physics of the Transactinide Elements. Retrieved 27 August 2013.